We had an order for an anniversary card and the client wanted something bright and colourful. 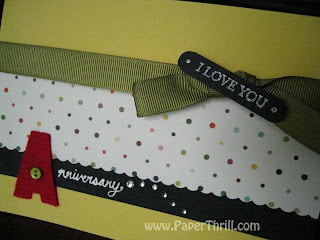 A bright yellow card was used combined with a colourful dotted print. We tied a moss grosgrain ribbon around the card and added a stamp 'I LOVE YOU' on top of the knot. 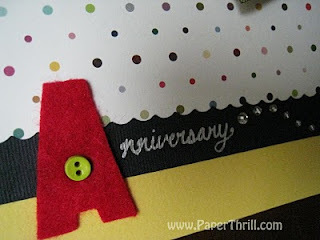 A red felt cut-out of the alphabet 'A' was added in line with the theme of card. 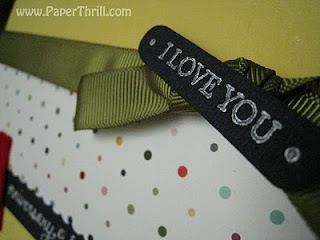 What a cheerful colour combination!